Hot-spot detection in MV switchgear is one of the most crucial methods of condition monitoring as it allows for early fault detection preventing insulation deterioration and lowering risks of insulation faults. More and more electrical equipment operators are rethinking their maintenance strategy. It is no surprise as their maintenance budgets have decreased in recent years and many technicians with years of experience have retired. The time-based maintenance programmes which they have been running are becoming untenable, and they cannot inspect and repair the equipment within scheduled shutdown periods with available resources. It is the right time for electrical equipment to support new maintenance strategies. The operators have to know the actual condition of the equipment and prioritise the maintenance tasks prior to the shutdown period and be prepared for preventive actions during scheduled outages. The embedded condition monitoring systems come into focus. An increasing number of tender specifications require embedded temperature monitoring systems in medium voltage switchgear. 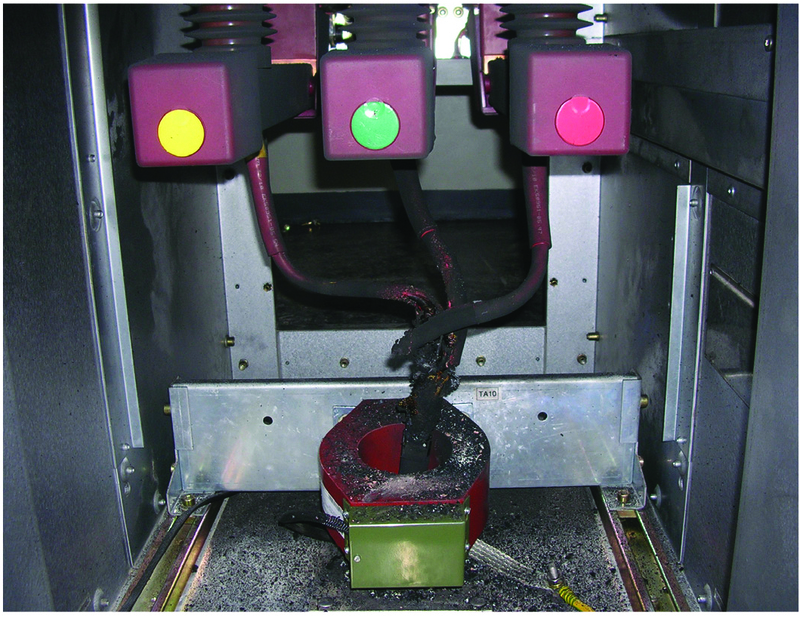 Approximately one quarter of switchgear failures are caused by loose joints or hot-spots within the switchgear. Fig. 1: Overheated insulator with surface tracking. The temperature of the primary circuits has a dominant influence on the switchgear insulation life. If a loose joint within the switchgear creates a hot- spot on the primary circuit, the insulation close to the hot-spot can suffer serious deterioration due to excessive heating (see Figs. 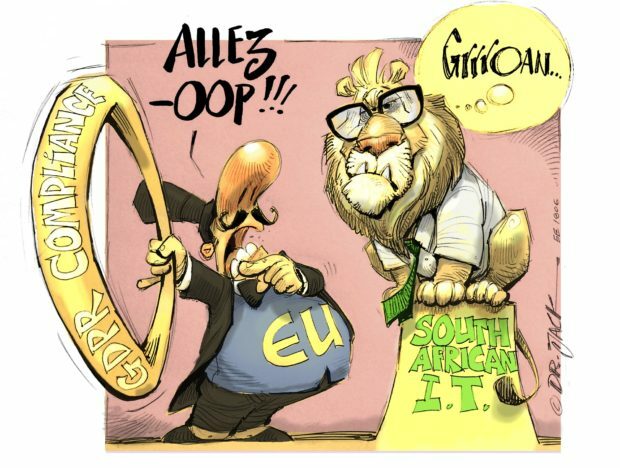 1 and 2). The lifetime of the insulation decreases rapidly, resulting in weak areas sensitive to dielectric stressing during subsequent operation. As a rule-of-thumb, we can say the insulation lifetime is reduced by half for each rise of 10°C in insulation average temperatures. An aged insulator dramatically increases the probability of the switchgear failing due to an internal arc fault, which can result in long-term power outages and huge consequential damages. 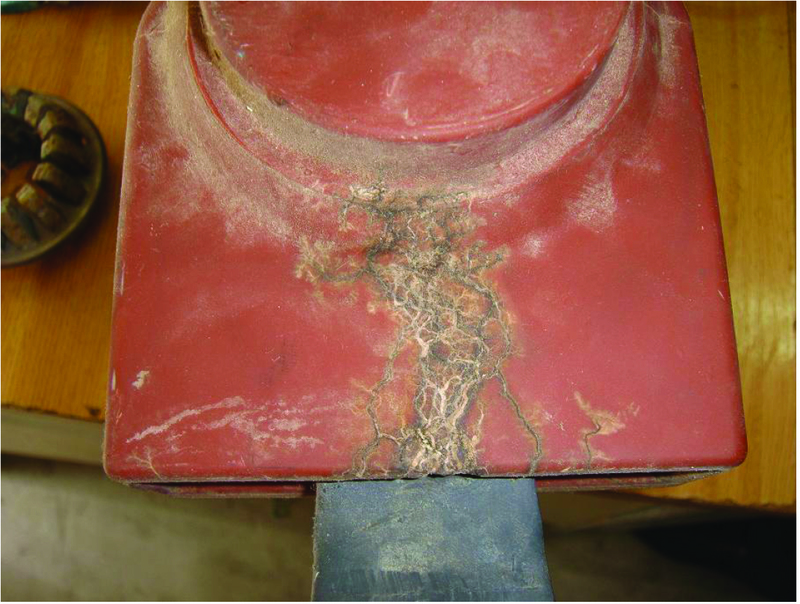 Since periodical visual inspections might not accurately estimate the remaining life of insulators, the detection of primary circuit hot spots becomes one of the crucial health condition monitoring tasks, and a key input to implement condition-based maintenance. Loose joints due to vibrations, unusual operating shocks. Power cable loose connections as a result of severe short circuits and aged clamping arrangement. 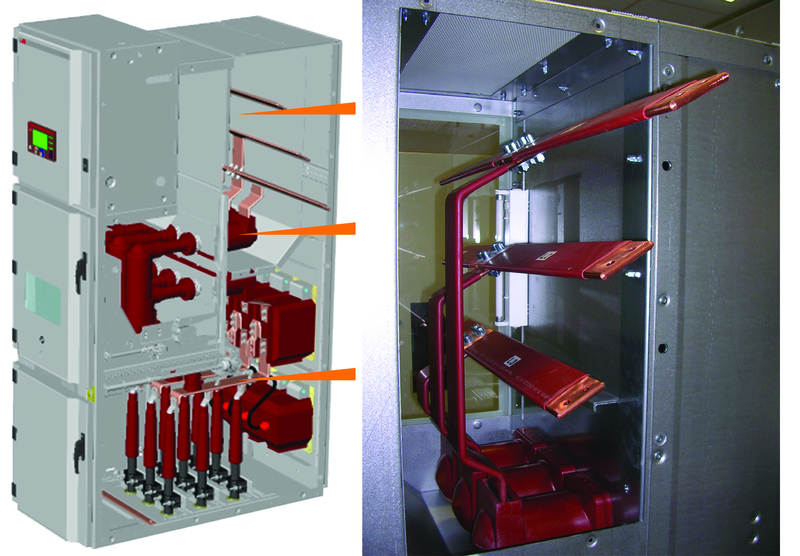 Mechanical damage of sliding power contacts during equipment handling outside the panels. Ablation of contact surface of sliding power contacts due to excess of racking operations above the prescribed limits. Contacts’ resistance increase caused by oxidation or corrosion due to unfavourable environmental conditions (humidity, marine ambient, air chemical pollution and others). Long maintenance intervals due to the uses of equipment in continuous process plants. The points of interest are therefore temperatures on or close to the bolted joints and sliding contacts on primary circuits (see Fig. 3). Knowing the temperatures is definitely the first step on the road to detecting a hot spot. Fig. 2: Overheated cable termination after flashover. Browsing through available hot-spot detection systems on the market, the following repeating patterns of the temperature measurement evaluation were discovered. In basic systems the hot-spot is signalled based on temperature delta between the measured object and ambient of the measured object. Usual threshold for alarm is then delta T of 40°C. This method detects fully developed hot-spot situations at currents close to nominal of the circuit only, which is already too late for preventing the insulation deterioration (especially for slowly developing faults). In advanced systems, the temperature values are combined with current measurement building a complex map of temperature versus current in each point of interest on primary circuit (see Fig. 4). The delta T threshold for alarms is then dependent on the current. This method allows for more accurate hot-spot detection, even at low loaded circuits. 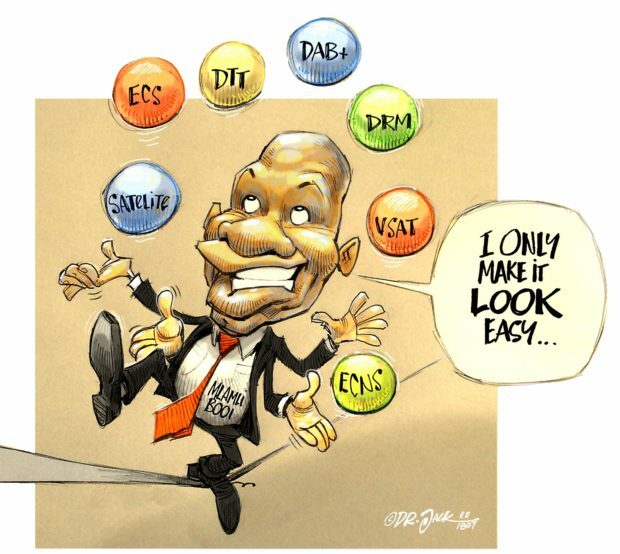 The main disadvantage is complex data collection and consolidation, need for central data processing and need for tailoring for each specific project. In some of the points (for example busbar joints) the currents cannot be measured and must be calculated based on the load map of the whole switchboard. One fault in data acquisition or a non-tailored configuration for the specific installation usually compromises the whole system. Trying to avoid the disadvantages of both methods, ABB built and successfully tested new effective algorithm for hot spot detection. The algorithm does not require information about the current flowing through primary circuit but combines properly two other principles – temperatures comparison, and temperatures influence. The principle of temperature comparison is based on the fact the currents in 3-phase systems are usually balanced and the temperatures in all three phases should be similar at the same point of interest of the primary circuit. If one or two of the temperatures rises significantly above the other, the algorithm evaluates the situation as a possible alarm. The principle of temperature influence involves the selection of the alarm thresholds, considering the measurement accuracy, the possible natural misbalance in the temperatures of the three phases and the possible ambient temperatures influence. Several temperature rise tests, data from many past tests and simulation of the faults were consolidated to get a reliable and robust setting and to know the limits of this method. Fig. 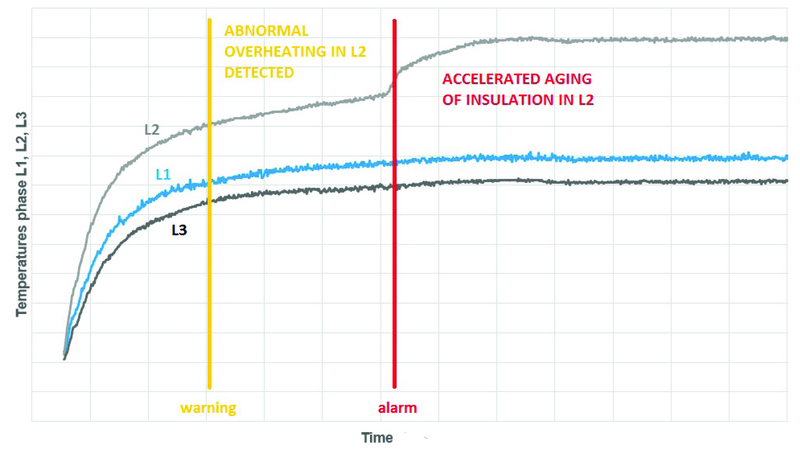 4: Principle of detection algorithm – loose cable termination in phase 2 is detected and signalled several hours before evolving to accelerated insulation ageing. The laboratory results proved that the proposed solution can detect hot-spot situations at low loaded circuits from 50% of nominal current and above. The hot-spot detection is provided on one switchgear panel level – i.e. you can have the hot-spot detection for the most critical circuit only. The alerts warn about abnormal overheating before the temperature level of accelerated aging of insulation is reached.